Lasting Memories - Local Harvest Layout! Hello! I hope you're all having a wonderful weekend! We've been busy with family activities and I've even had a little crafty time 😉 I am super excited to share that I'm a Guest Designer this month over on the Lasting Memories Scrapbook Challenge Blog - a wonderful blog dedicated to scrapbooking! Each week there is a new challenge for the monthly theme - this month the theme is Fall Celebrations - and this week our challenge is to create a layout about your harvest or your favorite plants or flowers. You have all month to play along with each challenge, so what are you waiting for?!! 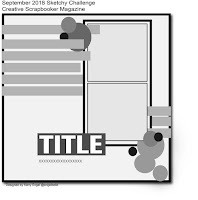 I used a scrapbook sketch from the PageMaps September Sketches, which you can see below. I love starting with a sketch! I'm scrapping photos from a local farmer's market in Cochrane, Alberta. 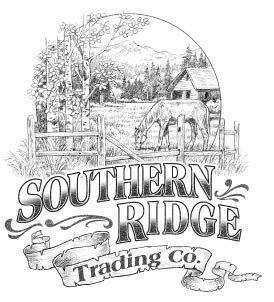 If you're in the area it's well worth stopping by to see the amazing vendors and produce available! I used some paper from a watercolour fall Recollections paper pad from Michaels along with the newest Wild Whisper Farmhouse collection including pretty papers and diecut ephemera. Canvas Corp Brands - Fall Blog Hop! Hello Friends! Thank you so much for stopping by today. You are in for a treat! Today I am participating in a MEGA BLOG HOP!!!!!! There are 18 fantastic designers world wide that have come together to showcase terrific fall projects that you can recreate and put your own artistic touches on in your craft room. You have seen a lot of these designers featured on The Canvas Corp Brands blog using Tattered Angels, 7 Gypsies and and Canvas Corp products! Do you see a trend? This is the CCB Fall Blog HOP! Each of these designers have created a project to share with you on their blog. Some are offering prizes - including me! so please hop on through to each blog. If you are inspired we would love if you would share the hop with others 💓 We would truly appreciate it! For my project for this fabulous fall hop I’ve created a pretty autumn wreath using some dollar store goodies I upcycled with lots of fun products from the Canvas Corp Brands Shop. Fall is my favourite season! I can’t help getting excited about the fall colours, sweater weather, and Pumpkin Spice everything! I sprayed a white dollar store grapevine wreath with Tattered Angels Rose Gold and Woven Burlap Glimmer Mists and let dry. Then I glued strips of Canvas Corp burlap around, using hot glue to attach the ends. Next, I sprayed faux leaves and berries (dollar store finds) with Golden Lime and the Rose Gold Glimmer Mists and the acorns and pinecones with the Woven Burlap and Dark Vintage Green Glimmer Mists. The mica in the mists gave the fall foliage a lovely shimmer and shine and adds such a nice effect! I sprayed the Tattered Angels Mixed Media Mini Origins 'The Vines' paper with various colours of Glimmer Mists and then fussy cut them out. This mixed media paper is just amazing to work with - so thick and perfect with water mediums. I added some Emerald Creek Thanksgiving Embossing Powder to parts of the leaves and heat embossed to add even more glittery goodness and added a bit of ink around the edges. I finished off the wreath by gathering some Canvas Corp Red Hemp Rope into a circle and hot gluing it to the wreath, adding all my glimmered elements and some pretty Little Birdie Crafts handmade flowers. This wreath came together nice and quick and I just love how it turned out! I am so excited to get out all my fall decor now and celebrate the season! 🍂 Be sure to hop over to the next stop on the list - Lynne Joncas and see the amazing project she’s come up with. 🍁 I hope you get lots of inspiration to start your next fall project! Kitty Bee Designs - Panda Friend Card! Howdy! I hope you are all having a fantastic week! 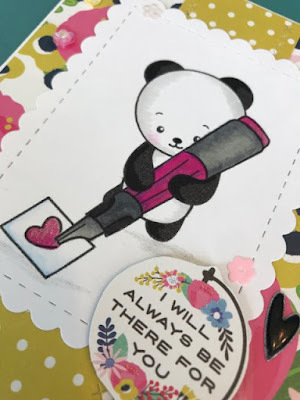 I'm over on the Kitty Bee Designs Blog today sharing a sweet friend card using the adorable Kitty Bee Designs Writing With Love Panda digital stamp. He's just so cute and quick and easy to colour! I used Prismacolour and Hobby Colour Markers, both alcohol based and then added some clear glitter pen to the heart and top of the pen for a bit of shimmer. Then I used a Your Next Stamp scalloped stitched rectangle die to cut him out. I used Pebbles My Bright Life papers, including the globe sentiment that I fussy cut, and a puffy Amy Tangerine heart sticker from the August Scrapbook & Cards Today Sampler Pack to decorate the card along with SpiegelMom Scraps Sequins for Bling! 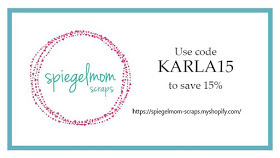 (use code KARLA15 to save 15% at the SMS Shop!) This little guy will surely make someone's day super sweet! Thanks so much for stopping by today! Be sure to head over to the Kitty Bee Designs shop to see all the adorable images and choose one that you can't wait to start creating with! Canvas Corp Brands - Lost In Translation Twist & Pop Card! Hi friends! I hope you've had a wonderful week - I can't believe how fast it's flown by! Today I'm sharing a twist & pop card created for the Canvas Corp Brands Crew Challenge - Lost In Translation. Every month we have a challenge open to the Design Team and as soon as I saw the theme of this one I had an idea of what I wanted to create. Our challenge was to use a word that was not from our native language, so I chose Arigato, and the Japanese symbols that mean the same thing, which translate into Thank You in English. I layered 7gypsies papers, the Tattered Angels mushroom painted with glimmer mists and preprinted flowers fussy cut from Canvas Corp's Compose Your Life paper on my card base and then heat embossed the sentiment from Pretty Cute Stamps Sushi Sentiments stamp set on a kraft Canvas Corp tag sprayed with Glimmer Mist. Inside, I followed the directions from a previous Twist & Pop Card video HERE and added more fun crafty goodies from the Canvas Corp Brands shop. I always love the magic that happens when I open up these cards! Thanks so much for stopping by! Be sure to head over to the Creative Studio Blog to see what other crafty Crew Members came up with and get a list of all the supplies I used. Wishing you a very happy crafty week ahead friends! Scrap Shotz - Kaisercraft Sparkle Collection Available! Hi friends! I'm just popping in to give you a look at the beautiful Kaisercraft Sparkle collection that is now available at the Scrap Shotz store. You're going to love this for all your Christmas crafting, and I just had to give you a look at all the goodies! Here's a look at the VIDEO where I'm giving you lots of closeup details! Thanks so much for stopping by! Be sure to head over to the Scrap Shotz blog to see closeup pics and links, and have an awesome day! 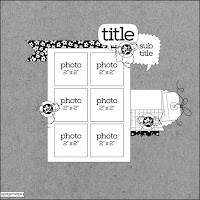 Make any card, scrapbook layout, 3D sculpture, etc. about leaves! For this challenge I’m sharing a cute owl card using a cool leaf diecut from Dreaming Tree using the FREE Autumn Leaf Napkin Ring SVG file. I positioned it in a rectangle cut from the Cricut Shapes and sliced it to create an opening in the background. I used Tattered Angels Mists to create an inky background on a piece of Bristol Cardstock and then placed it behind the opening. Another leaf decorates the bottom left and I cut a sentiment from the Straight From The Nest Cricut cartridge. I watercoloured some cute owls from the new Lawn Fawn So Owlsome stamp set and popped them up with foam dots to give them some dimension. I then added some SpiegelMom Scraps sequins (save 15% at the SMS shop with code KARLA15) to finish it off! Thanks so much for stopping by today! Be sure to check out what the other Designers have come up with for this challenge and enter your own at the Fantabulous Cricut Challenge Blog, with at least one Cricut cut, for a chance to win! Canvas Corp Brands - Canvas Challenge! Good morning! Hope you're all having a fantastic week! I just wanted to give you a peek at a fun challenge on the Creative Studio Blog that the wonderful Crew Members at Canvas Corp Brands were given - to create a project using a piece of Canvas Corp canvas. Now, this was so fun, because there are so many wonderful canvas pieces in the shop!! I chose to work with a Canvas and Burlap Zipper Pouch and you can see here how I added a cross stitch pattern to the burlap side of the bag and then added a stitched banner, Architextures rub-ons, buttons and Tattered Angels mists to the other side! This little zipper pouch would be perfect as a pencil case, a great place to tuck a gift in, even a makeup bag and I love how you can customize it yourself! I cut a little rectangle out of canvas and stitched it to a piece of Canvas Corp cording to act as a little zipper pull. This sweet cactus was so fun to stitch directly on the burlap using a pattern from Cross Stitcher Magazine. I cut a tea cup out of another printed canvas sheet and coloured it with Glimmer Mists to use a little plant pot. The buttons I chose from my stash add some more texture and interest and match the colours I used. And, in case you're wondering... that background paper is from the Architextures collection! Thanks so much for stopping by today! Be sure to head over to Creative Studio Canvas Corp Brands blog where you can see details on so many of these projects and a supply list for my project above - and if you haven't yet checked out that blog you'll definitely want to! There is amazing inspiration all the time!! Wild Whisper - City Girls In The Country Layout! Hi! 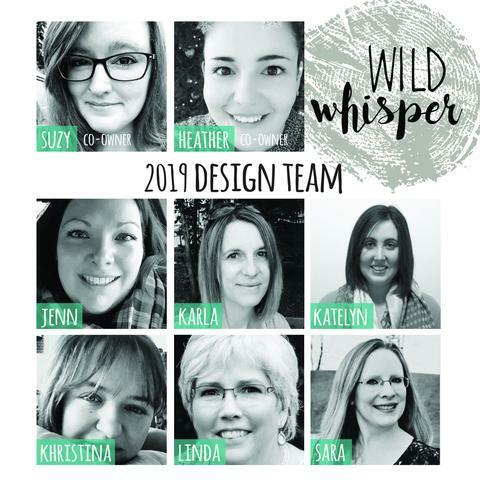 I'm so excited to be Guest Designing again for Wild Whisper Designs, and I'm back today with a peek at their new Farmhouse Collection, which is so wonderful!! 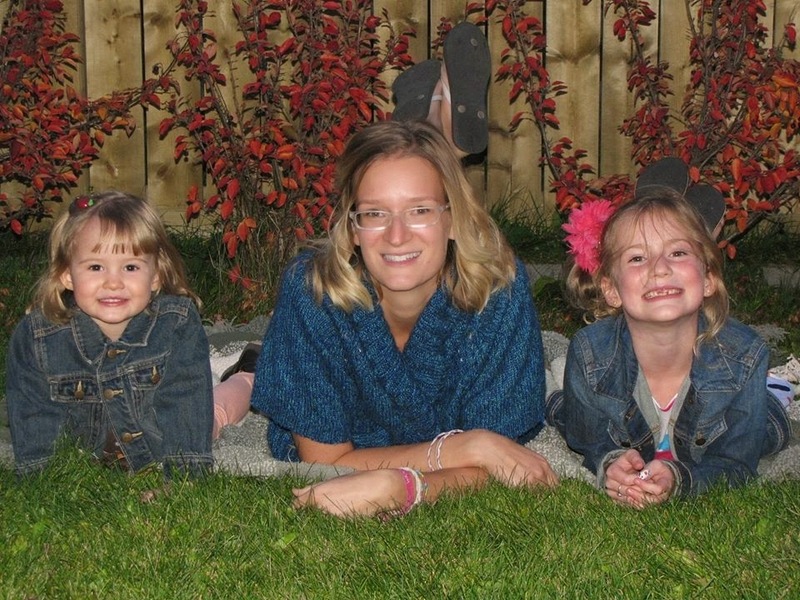 This was the perfect paper and ephemera to use on this scrapbook layout of the girls at a local farm! There are so many fun elements on these papers, and even more goodies to check out in the shop that coordinate. Thanks so much for stopping by! Be sure to head over to the Wild Whisper blog to see closeups and get all the details, and have a fabulous day! Tattered Angels - Using the Tarnished Silver Naturally Aged Kit! Hello! I hope you're having a wonderful day so far 💙 I wanted to pop by to share a very cool kit with you from Tattered Angels - the Tarnished Silver Naturally Aged Paint System! Here's a peek at the background I created, but be sure to head over to the Creative Studio Blog to see details and closeups of all the surfaces I tried it on!! Here's a look at the VIDEO showing you how easy it is to use this kit! Thanks so much for stopping by! I hope you get a chance to try out the Tarnished Silver Kit or one of the others that are in the Canvas Corp Brands shop - you will have so much fun! Head over to the blog post HERE where you'll see details and closeups, and have a wonderful day! Emerald Creek Craft Supplies - Amazing Anniversary Card! Hi friends! I'm over on the Emerald Creek Craft Supplies blog today with an anniversary card I created for my hubby. It was our 13th anniversary last week and I wanted to create a fall card for him. Our challenge this month on the EC blog is Leaves and Fall Colours, so what a great time to pull out some autumn supplies! We had a lovely week celebrating with breakfast and a little shopping one day and an evening out on Saturday! Thanks so much for stopping by! Be sure to head over to the Emerald Creek blog to see closeups and details on this card, as well as how to enter your own project. Have a fabulous week!! 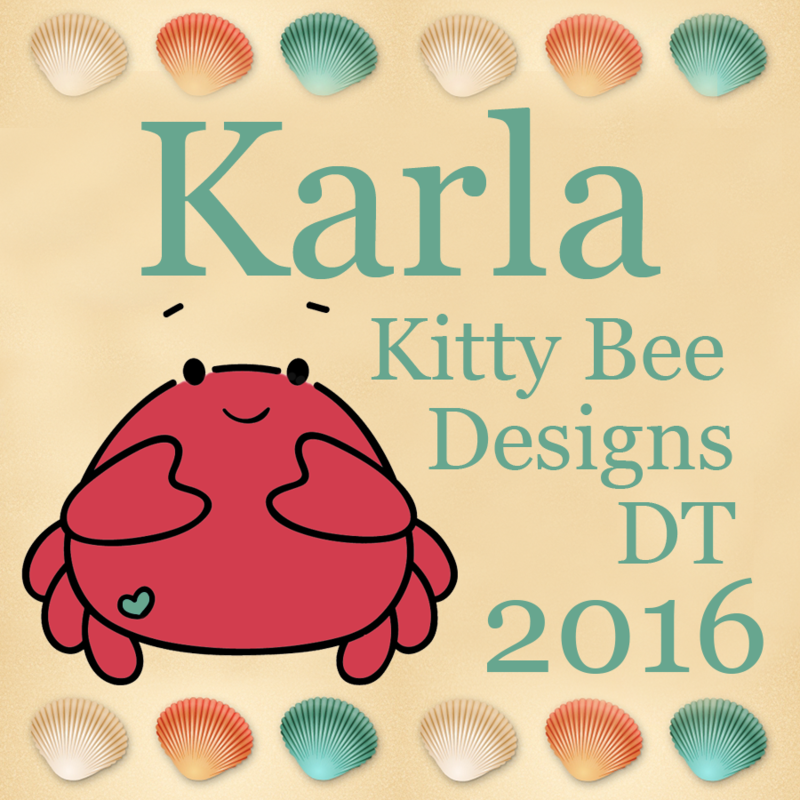 Kitty Bee Designs #126 - Anything Goes with Optional Twist Animals! Hi Friends! I hope you've been having a lovely week so far! I've had lots of fun creating projects lately and here's one more for you! It's time for the midweek inspiration for Challenge #126 over at the Kitty Bee Designs Challenge Blog - Aloha Friday! For this week's challenge I'm using the super sweet Puppy Love digi image by Limited Runs. Is he not the cutest?!! I coloured him in with Prismacolor and Hobby Colour Markers, both alcohol based, and added a few white gel pen details. I used a Hello Bluebird die set that comes with the stitched frame and the hello diecut along with that tiny heart and layered them over the background sponged with Tattered Rose Distress Oxide Ink. The SMILE and 'You've got mail' sentiments are also from Hello Bluebird Stamps and I love how they fit with the Happy Mail feel of the card. Inside, I stamped a thank you sentiment with another Hello Bluebird Stamps set using Archival Ink and adding a tiny flower diecut, also in the die set above. I'm going to send this card to my daughter's teacher to thank her for a wonderful first week of school! 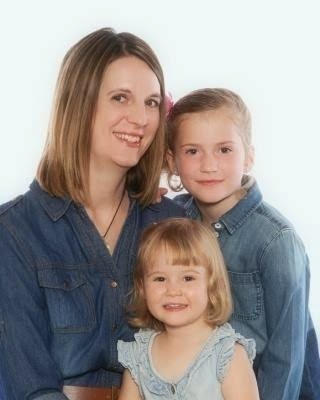 Both girls have been over the moon about their teachers and starting a new year - so what could be better than that! 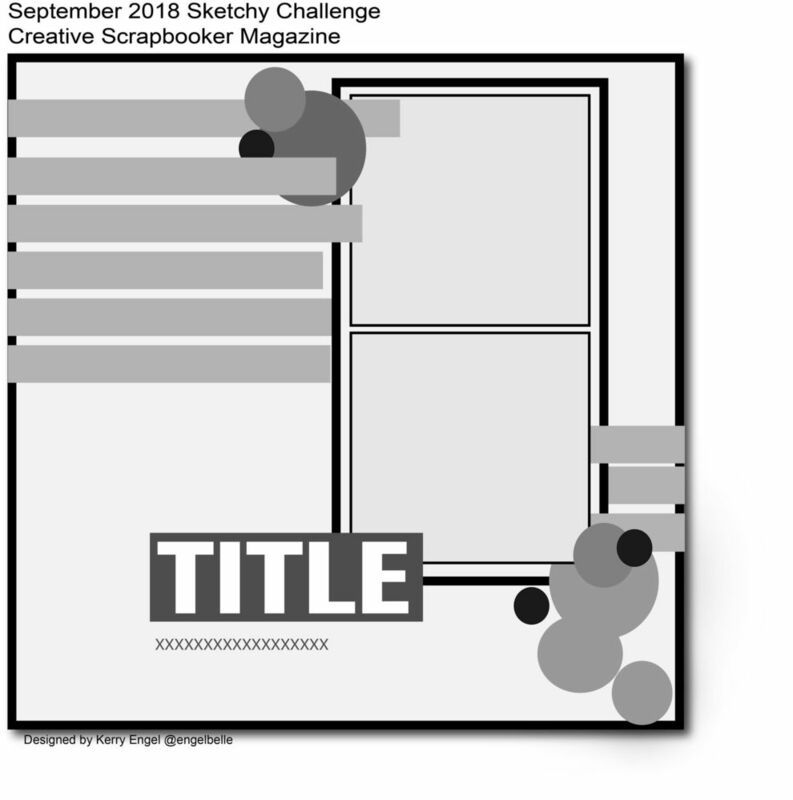 Scrap Shotz September Kit Club Layouts and Video! Scrap Shotz September Kit Reveal! !